During the month of May is the perfect time to discover China and all it has to offer thanks to it being the start of it’s summer the sky is a lot clearer and the humidity drops. This makes visiting the main attractions an even better experience, especially combined with the blossoming wildflowers which start appearing throughout the Chinese countryside increasing the natural beauty ten fold. 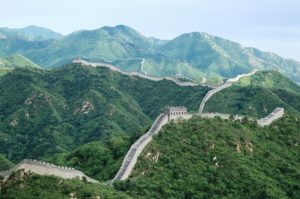 Now where to start, of course if you are in China the first place on your list to visit has to be the Great Wall – the pride of ancient Asian workmanship with it spreading over 20,000 kilometers in distance making it one of the most impressive man made structures on the planet. A cruise on the Yangtze River will give you a completely different vantage point as you absorb the beauty of China at a more sedate pace. With almost 4000 miles of water, the Yangtze is the third longest river in the world (Only the Nile and the Amazon are longer) and this is your chance to see some of the most stunning scenery in the world! As well as these wonders make sure you squeeze in a visit to the city of Xian which should not be without a trip to see the army of terracotta warriors which are thought to date back to 210 BC. Spot the mysterious Panda in which might not get the opportunity to see these elusive creatures completely in the wild but you can see them in the Panda conservation centre which will be something to treasure, especially for wildlife lovers. China escorted tours – Perhaps one of the best ways of exploring China is to embark on an escorted tour of the country. Travelling in small groups with guides who are experts in each of the regions you will visit, not only means you really will get to see all the highlights in the best way possible but you will also have the peace of mind that comes with having expert guides on board. There are lots of different itineraries to choose from and these vary depending on who you travel with. We work closely with a number of amazing tour operators in which have some of the very best itineraries which will take you to some of the best attractions China has to offer – especially Wendy Wu Tours in which we have an amazing relationship with 25 years of experience when it comes to tours to China. 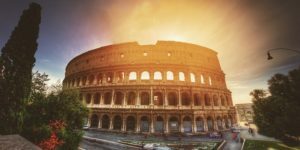 With the summer fast approaching, but not quite there May is the perfect time to travel to Italy with the perfect temperature, lower crowds when it comes to seeing the main attractions and the flowers blossoming at every corner. Now we know the USA is a big place with a number of different climates throughout this vast country, however in May you can again skip all the tourists flocking for their summer holiday meaning the main sights aren’t as crowded and hotels are cheaper along with airfare. 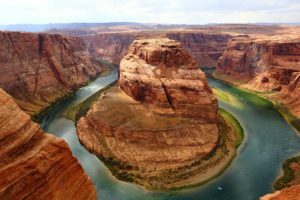 However you decide to explore the United States, please feel free to contact for more information about all of our escorted tours to America.